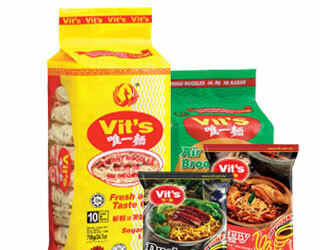 We are a manufacturer and distributor of our own house brand Vit’s. We also provide private labelling services if you wish to source our products for your brand. You can rely on us as we abide to our pledge so as to ensure you receive the best products and services possible in honour of your trust and confidence. 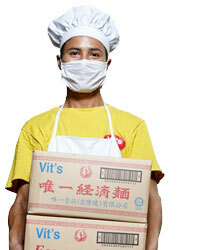 Test on various parameters are vigorously examine under the strict procedures of our experienced professionals to assure our noodles are safe to eat before packing. Therefore, you can definitely expect the best when sourcing for your brand with us or when choosing your preferred meal. We love to help you and your business. Feel free to get in touch with us if you have enquiries regarding any products and services.